Interact with the applet below for a few minutes. 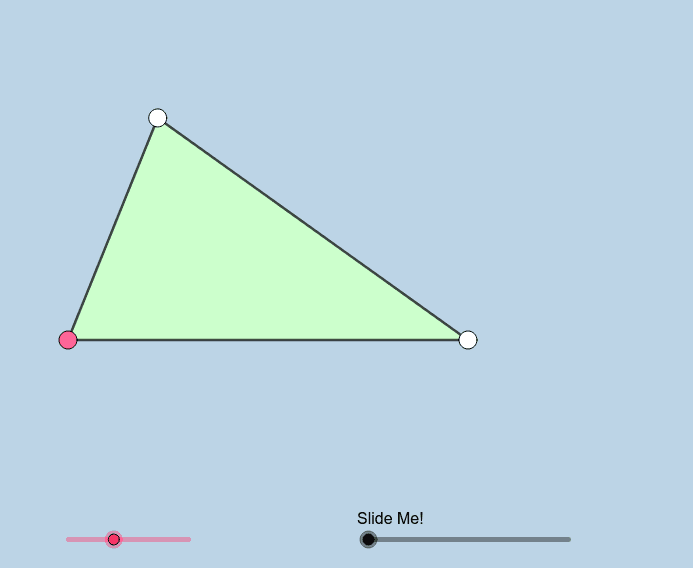 Be sure to move the VERTICES of the triangle around each time before you move the slider. Answer the questions that appear below the applet. What LARGER FIGURE was formed when the slider reached its end? How do we know this to be true? How does the area of the original triangle compare with the area of this LARGER FIGURE? How do we find the area of this LARGER FIGURE? What is the formula we use to find it? Given your responses to (2) & (3), write a formula that gives the area of JUST ONE of these congruent triangles.